David Fincher Video Essay: Watch David Silva’s 17 minute tribute to the director (VIDEO). 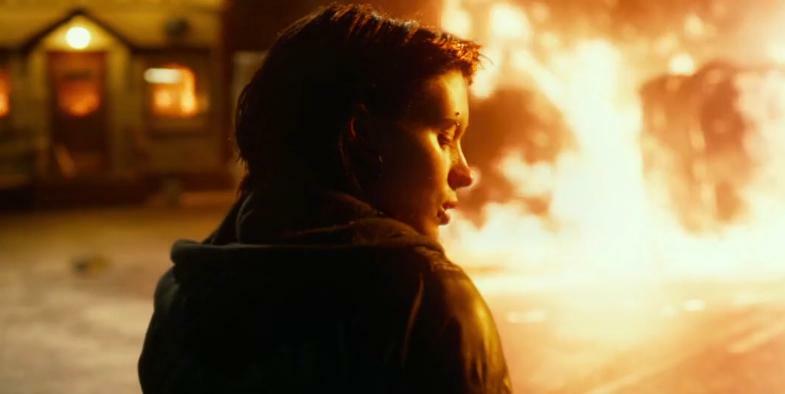 Fincher’s work in The Girl with the Dragon Tattoo. David Fincher will release his latest film, Gone Girl, in October. Conveniently, Daniel Silva has put together a comprehensive tribute to Fincher’s films, a 17-minute compilation of clips that illuminates the finer points of the director’s aesthetic. Though he got his start directing music videos, Fincher has helmed some of the major American films of the past two decades: Fight Club, Seven, The Social Network, and The Girl With the Dragon Tattoo, to name a few. As such, his style—a cool, precise sense for composition paired with a penchant for dim lighting and Steadicam shots—has evolved into a sort of shorthand, instantly recognizable in the elegant passages of movies like The Curious Case of Benjamin Button and Zodiac. Some claim this technique is cold and impersonal, but I’ve always thought Fincher’s restraint—even when the scene involves Brad Pitt and Edward Norton fistfighting in a parking lot—is what makes him such a master at conjuring the inner turmoil of his characters.